Welcome to the September 22, 2017 edition of ACM TechNews, providing timely information for IT professionals three times a week. Is There Any Hope for Facebook's Fact-Checking Efforts? Researchers from the RUDN University in Russia have applied a new mathematical model called a Markovian arrival process to the breakdown of telecommunication systems and electronic equipment that handles client requests. "The results of this study can be used to analyze and optimize real stochastic systems in which servers are subject to breakdowns and recovery," says RUDN's Valentina Klimenok. "These systems include any computer network." The team created a model that accounts for the unreliability of the servicing devices and predicts the effect of breakdowns on the efficiency of the system. Earlier queuing system processes models yield large errors in the system performance evaluation, and scientists use the Markovian arrival process to model the requests and breakdowns occurrence. Performance indicators include the average number of requests, the distribution and the average number of busy devices, the distribution and the average number of devices under repair, and the likelihood of the incoming request to be immediately processed. Despite Facebook's claims that a third-party tool designed to stop the proliferation of misinformation on the social media platform is working, a Yale University study suggests flagging a post as "disputed" reduces reader likelihood of believing it by only 3.7 percent. Meanwhile, research by the University of Venice's Walter Quattrociocchi could have deep ramifications for online fact-checking. He found Facebook users who cohere around conspiracy-related content usually engage only with material that affirms their preexisting worldview, but when presented with dissenting information that attempts to dispel conspiracy theories, their future interaction with conspiracy-related content becomes more probable. Quattrociocchi sees a crisis in authority because he suspects information is now spreading online via the same mechanisms as selfies or memes, whereas in the past information gatekeepers often weeded out the most extreme misinformation. "Our current information environment makes us newly vulnerable to things like filter bubbles and purposeful manipulation," warns the University of Washington's Kate Starbird. A new demonstration by U.S. and Canadian researchers could help guide the development of secure, cost-effective quantum networks. The team has proved the viability of a measurement-device-independent (MDI) quantum key distribution (QKD) system, based on readily available hardware. QKD provides a method of provably secure communication, and the team's MDI-QKD system consists of a quantum bit (qubit) preparation module, a Bell state measurement module, a control module, and a time-tagging module, enabling key generation from qubits in randomly prepared states. The researchers say they used cost-effective and commercially available hardware such as distributed feedback lasers and field-programmable gate arrays, which enable time-bin qubit preparation and time-tagging, and active feedback systems that permit compensation of time-varying properties of photons after transmission through deployed fiber. University of Calgary professor Wolfgang Tittel says the demonstration paves the way for MDI-QKD-based star-type quantum networks with Kbps secret key rates spanning geographical distances of more than 100 kilometers. 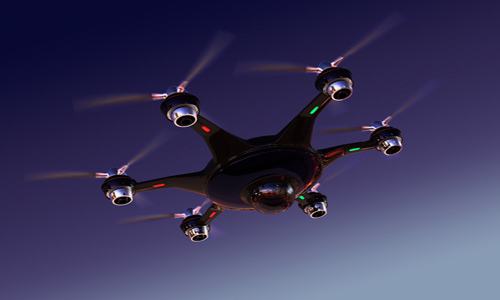 Researchers at the University of Zurich (UZH) in Switzerland and NCCR Robotics have taught flying drones to navigate with an eye-inspired camera, which could create a path toward operating in low-light conditions. The drones' event cameras do not need to capture full light on the entire retina to acquire a clear perception. The devices only note changes in brightness for each pixel, ensuring sharp vision even during fast motion or in low-light settings. The researchers also have designed software to efficiently process the cameras' output. "This research is the first of its kind in the fields of artificial intelligence and robotics, and will soon enable drones to fly autonomously and faster than ever, including in low-light environments," says UZH professor Davide Scaramuzza. He believes the software can function reliably outdoors, while noting, "our recent work has already demonstrated that combining a standard camera with an event-based camera improves the accuracy and reliability of the system." Researchers at the Massachusetts Institute of Technology's Computer Science and Artificial Intelligence Laboratory have developed CodeCarbonCopy, a system enabling programmers to transplant code between programs. Programmers can choose the code from one program and an insertion point in a second program, and the system will automatically make the required changes to fit the code within its new context. 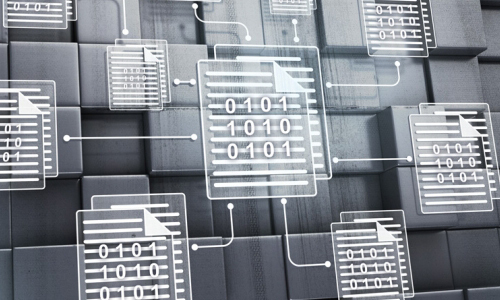 CodeCarbonCopy is capable of translating "data representations" used by the donor and recipient programs because it automatically maps the donor's scheme onto the recipient's. The transplantation procedure starts with feeding both the donor and recipient the same input file, and then CodeCarbonCopy compares how the two programs process the file. Data representation mapping involves analyzing the exact values that both programs store in memory, and CodeCarbonCopy creates a set of representation-translation operations if it finds a systematic relationship between the values. 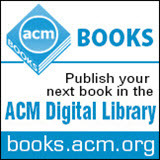 The system was presented this month at the ACM Symposium on the Foundations of Software Engineering in Germany. The U.S. National Science Foundation has awarded a three-year, second phase, $10-million grant to the multi-institutional Chameleon cloud computing testbed project, which will add hardware and expand access. Phase one of Chameleon involved the testbed's construction, while the second phase will entail its transformation into a scientific tool, says Argonne National Laboratory's Kate Keahey. In phase one, Chameleon supported work in fields such as cybersecurity, operating system design, and power management so scientists could "realistically simulate cyberattacks upon cloud computing systems to improve their defenses, train students to search high-resolution telescope images for undiscovered exoplanets, and develop machine-learning algorithms that automatically determine the most energy-efficient task assignment schemes for large data centers." For phase two, "we're going to extend the capabilities that allow users to keep a record of their experiments in Chameleon and provide new services that allow them to build more repeatable experiments," Keahey says. Researchers at Ben-Gurion University of the Negev (AABGU) in Israel have demonstrated aIR-Jumper, a new technique in which malware can infect security cameras to control the intensity of infrared light (IR) and thus communicate with a remote hacker who receives information without being detected. 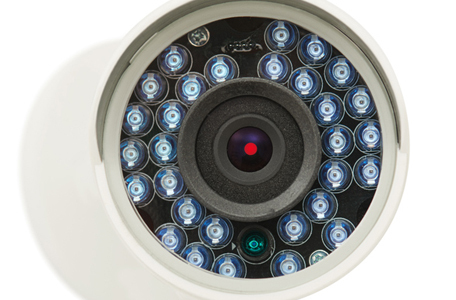 The camera's IR-emitting light-emitting diodes (LEDs) could be used to transmit sensitive data. The AABGU team's research shows binary data such as command-and-control messages can be concealed in the video stream, recorded by the surveillance cameras, and intercepted and decoded by the malware residing in the network. The researchers say the aIR-Jumper technique will work on both professional and home security cameras, and even with LED doorbells. "Theoretically, you can send an infrared command to tell a high-security system to simply unlock the gate or front door to your house," says Mordechai Guri at AABGU's Cyber Security Research Center. Researchers at Simon Fraser University's (SFU) School of Computing Science in Canada have collaborated with Disney Research to develop a new way to evaluate and predict moviegoers' facial expressions, which could add to the realism of animation. By using factorized variational autoencoders (FVAEs) to automatically analyze patterns in data, the team says it discovered "a surprising ability" to reliably predict viewers' facial expressions after only a few minutes of observation. The algorithms were applied to up to 150 screenings of nine mainstream movies in cinemas with infrared cameras. The result was the collation of 16 million facial "landmarks" to be assessed, with SFU professor Greg Mori noting frowns and smiles were specifically tracked to get a range of reaction-based facial structures. The researchers say FVAEs can "learn" a set of stereotypical reactions from the entire audience, and from the various facial expressions, and then can ascertain how audience members should respond to a particular movie. 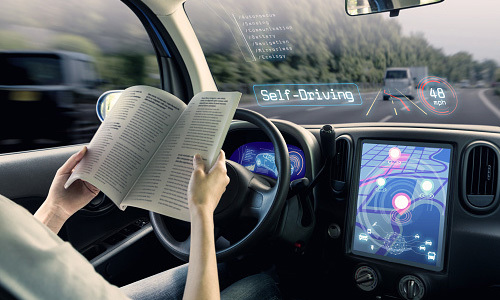 Experts think autonomous vehicles (AVs) may arrive later than expected, or in a different form than most people anticipate. Proterra CEO Ryan Popple and Lyft's Debs Schrimmer concur that AV adoption growth, although likely rapid, will be mainly concentrated in the fleet vehicle industry, as opposed to individual owners. Popple says the largest challenge is ensuring the technology serves all aspects of the market equally. "You'll need a vehicle in your fleet, in your arsenal, that can handle diversity of mission if you're going to accommodate everyone," he says. Meanwhile, Schrimmer notes Lyft has teamed with Drive.ai to develop a "brain" for Lyft's AVs, with a pilot planned for year's end. On the other hand, Ben McKeever with the University of California, Berkeley's Partners for Advanced Transportation Technology says it will be at least 20 years "before we see anything close to a full rollout deployment of AV that are self-driving." Researchers at the Stevens Institute of Technology used artificial intelligence to generate a program that successfully guessed 27 percent of the passwords from more than 43 million LinkedIn profiles. The team employed a generative adversarial network (GAN), PassGAN, featuring two artificial neural networks--a "generator" that produces artificial outputs resembling real examples, and a "discriminator" that attempts to differentiate real from false examples. New York University's Martin Arjovsky says the work "confirms that there are clear, important problems where applying simple machine-learning solutions can bring a crucial advantage." However, Cornell Tech's Thomas Ristenpart says this same GAN-based methodology could be applied to help users and enterprises rate password strength, as well as "potentially be used to generate decoy passwords to help detect breaches." Meanwhile, Stevens' Giuseppe Ateniese says PassGAN can invent passwords indefinitely, noting, "if you give enough data to PassGAN, it will be able to come up with rules that humans cannot think about." 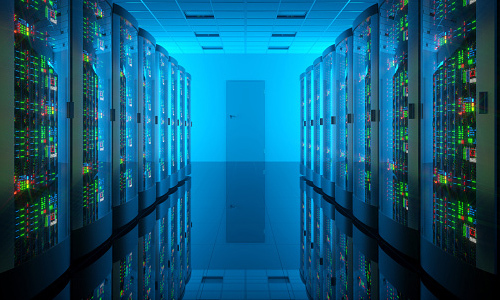 Researchers are developing new chips and approaches to reduce the power consumption of data centers, which accounted for about one-fiftieth of all U.S. electricity use in 2014, according to the U.S. Department of Energy. Cooling computers uses about 40 percent of data centers' energy, and Massachusetts Institute of Technology professor Arvind estimates storage cache power consumption can be trimmed by a factor of 25 by using flash memory instead of dynamic random-access memory (DRAM) chips. Arvind's BlueCache strategy uses about 5 percent as much energy as the DRAM approach while costing about 10 percent as much and boosts storage density about 100-fold. Meanwhile, Princeton University scientists' new Piton chip architecture is designed to identify when users are conducting similar computations and carry out identical operations consecutively so they flow one after another, thus increasing data center energy efficiency by about 20 percent. Each chip also controls competing programs' memory access to raise performance 18 percent. Researchers at Montana State University (MSU) have initiated a project to use storytelling to engage American Indian and other middle-school students with computer science. With funding from the U.S. National Science Foundation, the team will employ Alice, an open source graphical computer program, so students can create narratives by animating people, animals, and objects in virtual environments using a drag-and-drop interface and an intuitive programming language. The project seeks to develop tools that can be distributed throughout Montana classrooms so more students will pursue computer science degrees. "It's easing the barrier to learning computer science," says MSU professor Brittany Fasy. "The students really love doing this, creating a story in their own way." Fasy also says the project could help educators devise their own curricula to meet state education mandates, as well as address the need to emphasize the growing importance of computer coding in the classroom and workplace. State University of New York Fredonia professor Junaid Zubairi has developed the Flight Data Tracker, a software system he says could potentially supplant black box recorders in airplanes. The device is designed for real-time transmission of cockpit data to ground stations, thus eliminating the expensive and time-consuming need to search for black boxes after crashes. Zubairi says the system cannot overload any central server because planes would link with multiple ground servers, which collect and transmit flight information to the origin airport for storage. Upon landing, cockpit recordings and other redundant information can be deleted, but if something goes wrong, the black box data is immediately available. Zubairi also says real-time flight data streaming could help identify problems en route, so they can be corrected before disaster strikes. The Flight Data Tracker currently exists only as a computer model, while the next stage involves testing it using real servers and black boxes.